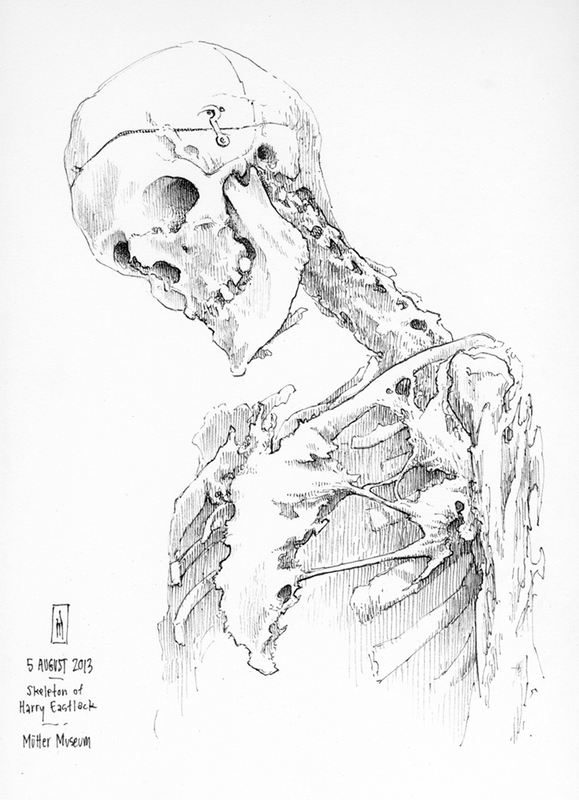 This drawing is a study of the skeleton of Harry Eastlack (1933-1973) who suffered from fibrodysplasia ossificans progressiva, a condition in which muscle and connective tissue turns to bone. Eastlack’s remains are displayed in the Mütter Museum of the College of Physicians of Philadelphia. An earlier drawing of Eastlack's skeleton is posted here.